Nigeria’s senior national team, the Super Eagles gets closer to securing the Group B ticket for the Russia 2018 World Cup. 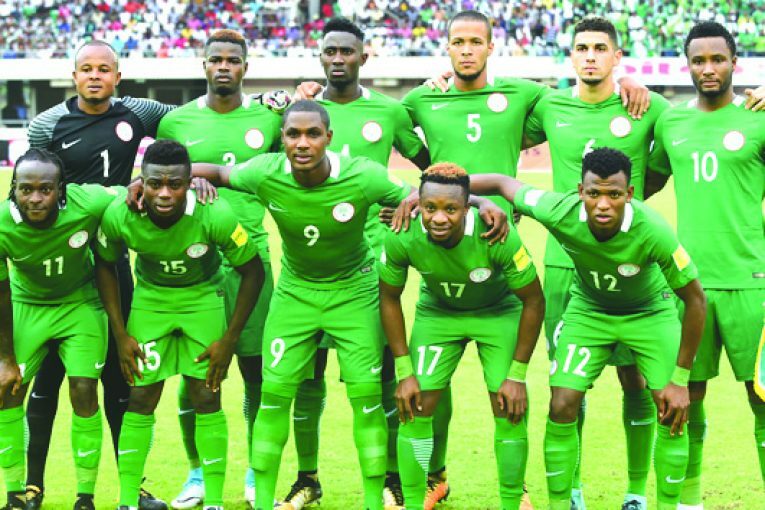 Nigeria’s Super Eagles inched closer to playing the round leather game at next year’s World Cup finals in Russia and ended the qualifying hopes of the Indomitable Lions of Cameroon, the current African champions with a 1-1 draw away to Cameroon on September 4. 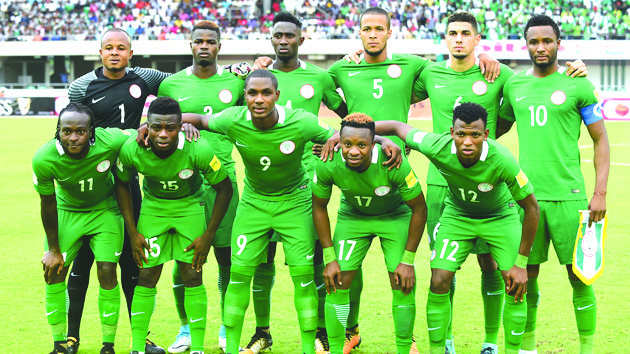 The Super Eagles had earlier on September 1 walloped the Indomitable Lions 4 – 0, with goals off the boots of Odion Ighalo, Mikel Obi, Victor Moses and Kelechi Iheanacho, thus brightening their chances of securing the ticket. During the second leg match in Yaounde when Cameroon forced Nigeria to a 1-1 draw, the Eagles scored their only goal through Moses Simon who was on target in the 30th minute. However, Cameroon got the equaliser in the 75th minute through a penalty kick taken by Vincent Aboubakar. Nigeria top Group B with 10 points from four games and this gives the Super Eagles the much needed hope to qualify for Russia 2018. But the race for qualification for next year’s World Cup in Group B took a new twist on September 5 when the second-placed Chipolopolo of Zambia defeated the Desert Foxes of Algeria 1- 0 in the return leg match in Constantine to take their points tally to seven. Zambia, with back-to-back wins over Algeria, has closed the gap on Nigeria and now has a realistic chance of making it to Russia 2018. With Zambia’s back-to-back victory, Algeria is also out of the race for the 2018 World Cup. Zambia smiled home with additional six points from the Algeria encounter which places the Southern African country at a vantage position to struggle to see if it could miraculously secure the ticket instead of the highly favoured Nigerian team. The Super Eagles, who have 10 points, only need to defeat Zambia in the next round of games to qualify for Russia. Zambia’s chances are still very high. If they can defeat Nigeria by scoring more than two goals without conceding any, then Nigeria may not qualify from the group. This is because both countries will be on the same 10 points. The scoring pattern — head-to-head — will be used to decide who qualifies from the group. Indeed, Nigeria would then need to defeat Algeria in its last game. If Nigeria beats Algeria and Cameroon secures victory over Zambia, then Nigeria would qualified with 13 points. If Zambia defeats Cameroon and Nigeria play a draw against Algeria, Nigeria will be out. All Nigeria needs is to draw or defeat Zambia in October to avoid these permutations. At the moment, Cameroon has crashed out of the qualifier, having garnered only three points from four matches. Even if the Indomitable Lions win their two remaining games, they would only get nine points which is less than the 10 points already bagged by group leader, Nigeria. 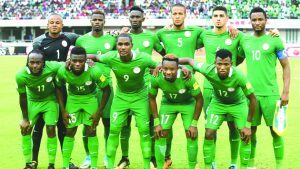 The Super Eagles’ next crucial match against the Chipolopolo in Uyo on October 7 will not be the first time Nigeria would turn the Zambian dream to a nightmare. During the 1994 African Cup of Nations in Tunisia, Zambia was on a run to win the trophy in grand style and in display of sheer will power after the disaster of losing 80 percent of its national team in a plane crash months earlier. While the world looked forward to a crowning of that dream, the Super Eagles smashed the Chipolopolo with a 2-1 win in that memorable final. It seems therefore that the Zambian dream may suffer again in the hands of Nigeria. Indeed, it appears the Super Eagles are on an unassailable flight to Russia and no firepower from the Chipolopolo can stop them. Amaju Pinnick, President of the Nigeria Football Federation (NFF) disclosed that preparations for next month’s big encounter against the Chipolopolo of Zambia, in which the Super Eagles are highly expected to pick the World Cup ticket, have started in earnest.